Bollywood songs constitute an integral part of Hindi cinema. They convey a myriad of emotions — from love and friendship to happiness and sorrow — and offer philosophical nuggets of wisdom. Each song has a unique story of its own. Javed Akhtar will take you on a musical journey, sharing how these songs were created, and with anecdotes that regale, amuse, and touch your heart. Find out how “Ek Ladki Ko Dekha To Aisa Laga” from 1942 A Love Story was created. Learn the story behind the song “Ek Do Teen” from Tezaab. Discover what happened when Karan Johar first heard the words of the immortal “Kal Ho Na Ho,” hear about how composer AR Rahman starts working at 2 a.m., and much more! Raman Mahadevan and Jahnvi Shrimankar will sing Javed Akhtar's enchanting songs. Renowned poet, lyricist, and screenwriter of Bollywood cinema. 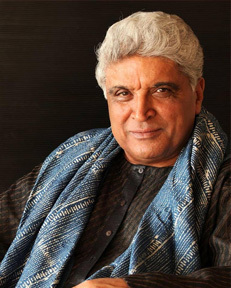 Javed Akhtar is a recipient of the Padma Shri (1999), Padma Bhushan (2007), and the Sahitya Akademi Award, India's second highest literary honor, for his poetry collection Lava, as well as five National Film Awards. Akhtar was nominated to the Parliament upper house Rajya Sabha on November 16, 2009. 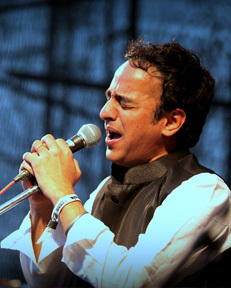 An Indian playback singer known for his Bollywood songs. Raman Mahadevan released an indipop album, Ramanasia, in 2007. He learned Carnatic music from guru Prasanna Warrier and later from Girija Shesu. He also learned tabla from guru Palash Bordoloi. He has also sung the title song for Aap Ki Kachehri and was featured in the song “Tere Liye,” composed by Saikat-Shankar. Jahnvi Shrimankar started singing at the age of seven. She has been trained under legends such as Smt. Kaumudi Munshi and Shri. Purshottam Upadhyay, and has sung for numerous Bollywood films, TV serials, ad jingles, theatre and radio plays. 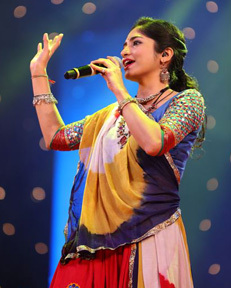 She has shared the stage with Parthiv Gohil and has been featured in shows like Navras, Ishq Sufiana, Rag Rang, Ragas to Rock, Kavya Samaroh, and Gujarati Jalso. The team is accompanied by four musicians: Vishal Dhumal (keyboard), Sanjay Jaipurwale (guitar), Hiten Prasad (tabla), and Rahul Kahar (drums), plus Sunil Pandya (production, light and sound technician).